It's not clear from the sites whether they rely on the current measured block interval or the theoretical ten minutes for their estimates. So far, it seems to me that the time has mostly been overestimated, earlier predictions were for later in July. It seems therefore likely to me that the halving will occur on the 8th, 9th or the 10th of July. Naturally, any predictions will increase in accuracy as the halving draws nearer. 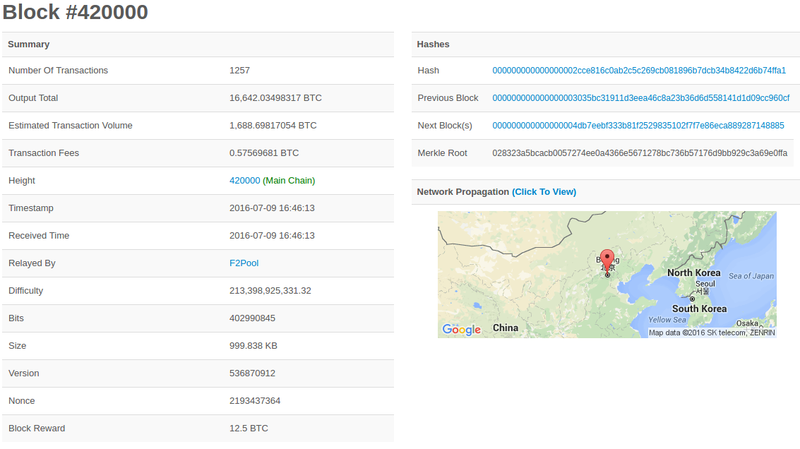 The 2016 halving, from 25 BTC to 12.5 BTC, happened on: Saturday July 9 2016 16:46:13 UTC. The exact time of the halving will be unknown until it happens. The most significant factor in the uncertainty is the rate at which new hashrate will enter the network. If the hashrate increases, the halving will be sooner. Statistical variance also plays a factor. My paper Predicting Block Halving Party Times discusses some of the methods used to predict the time in advance. Websites such as http://www.thehalvening.com/ give a rough estimate, which stands at July 10, 10:20 GMT at the time of this writing. New hashrate is likely to push this forward to July 8-9. Approximately 10 Jul 2016 13:00:33. The Bitcoin block mining reward halves every 210,000 blocks, the coin reward will decrease from 25 to 12.5 coins. When will next halving events occur? Is the Bitcoin rewards formula flawed?